The SageTV team has obviously been paying attention to their customers and critics because over the past week they’ve addressed two of the most mentioned negatives of the popular SageTV HD Theater extender & media player. 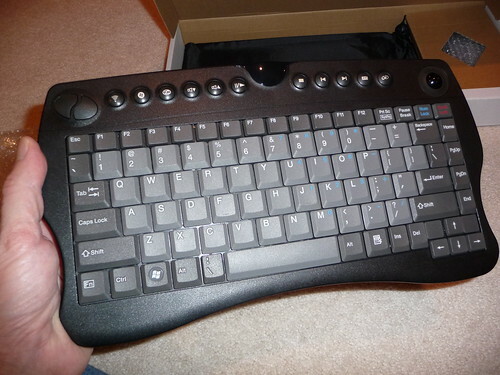 With the latest beta firmware “20090814 1” we now have basic support for USB keyboards. I’ve tried two different wireless USB keyboards and one wired USB keyboard all of which just worked – no setting changes or anything else required. Note this is currently only in extender mode and not media player (standalone) mode yet. But it’s an often mentioned missing feature that will be welcomed by many a SageTV user. 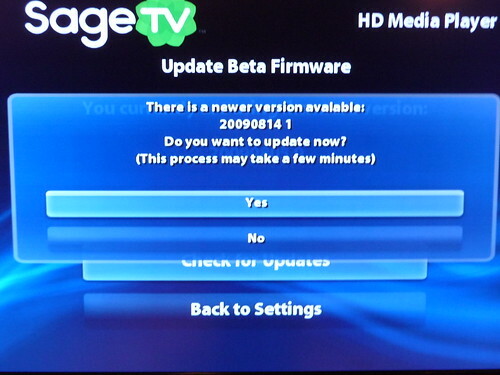 Just less than two weeks ago SageTV added support for wireless via a USB adapter (I’ll have more on that soon.) And also included in the beta firmware is a WiFi settings fix for those that use the WEP wireless protocol. Search menu: The Search command refreshes the search results. Search Menu: Update the search results if a video is deleted. Changed maximum CC and subtitle font size to 50. The CC and Subtitle font sizes can be changed via the left & right arrows while in the "Caption & Subtitle Options" dialog during video playback. Fixed bug where thumbnail preloader threads did not correctly pause after user input. Added hidden option for CIFS Browse Debug Logging to Detailed Setup -> General.